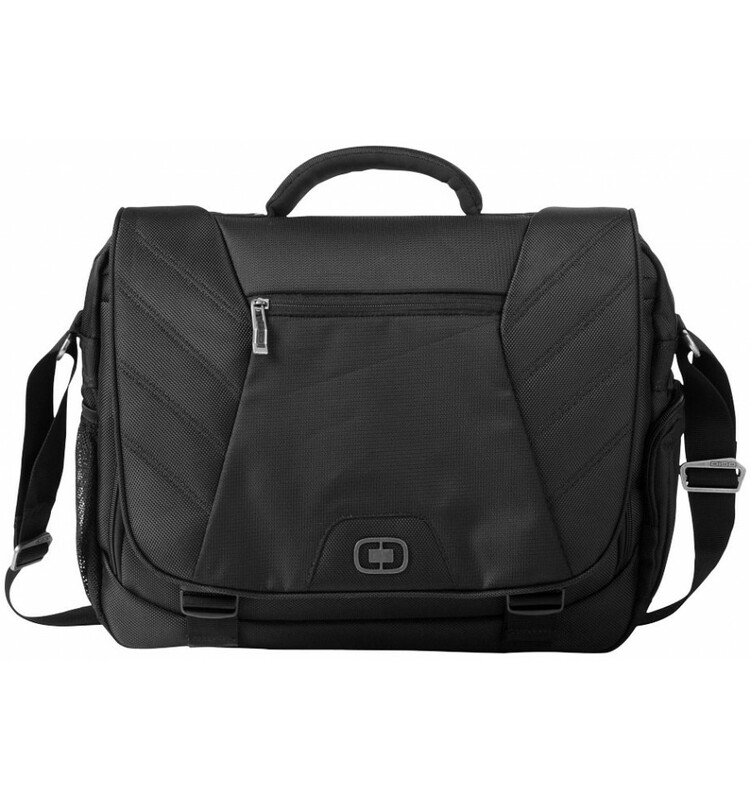 Elgin 17" laptop Conference bag. Exclusive design bag with flap over construction with double lock closure Interior padded laptop compartment. 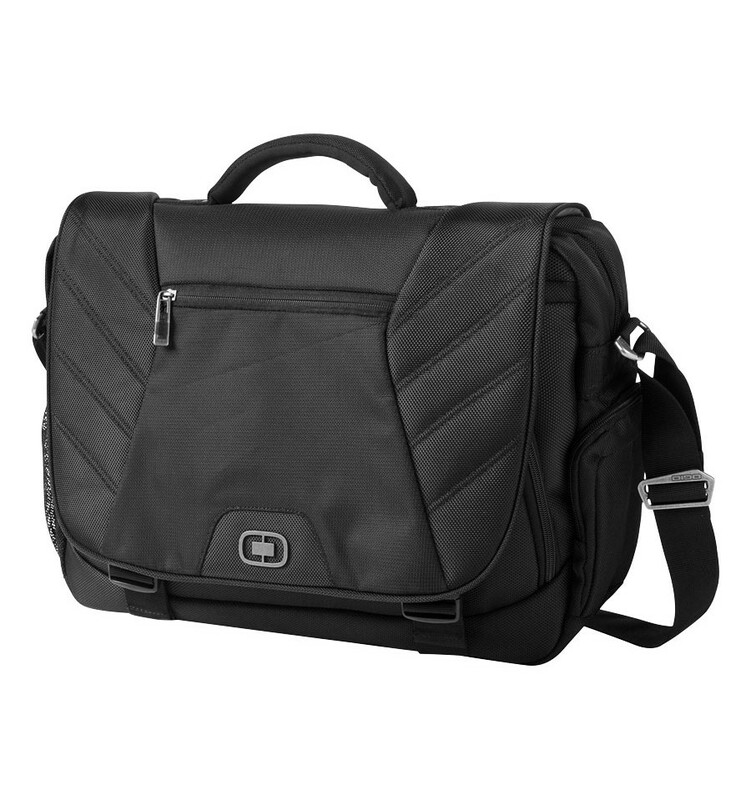 Easy access zipped pockets for business essentials. Side beverage/accessory pocket. Attachment strap to fit over most luggage trolley handles. 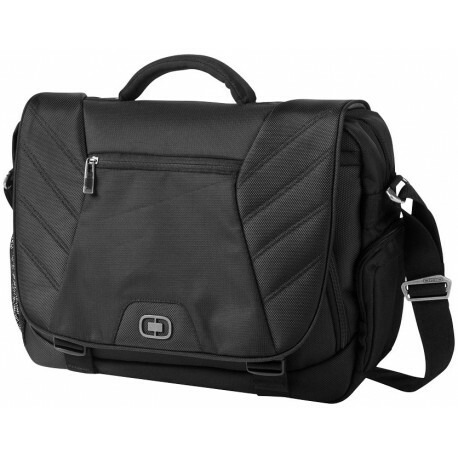 Removable, adjustable and padded shoulder strap Top handle.